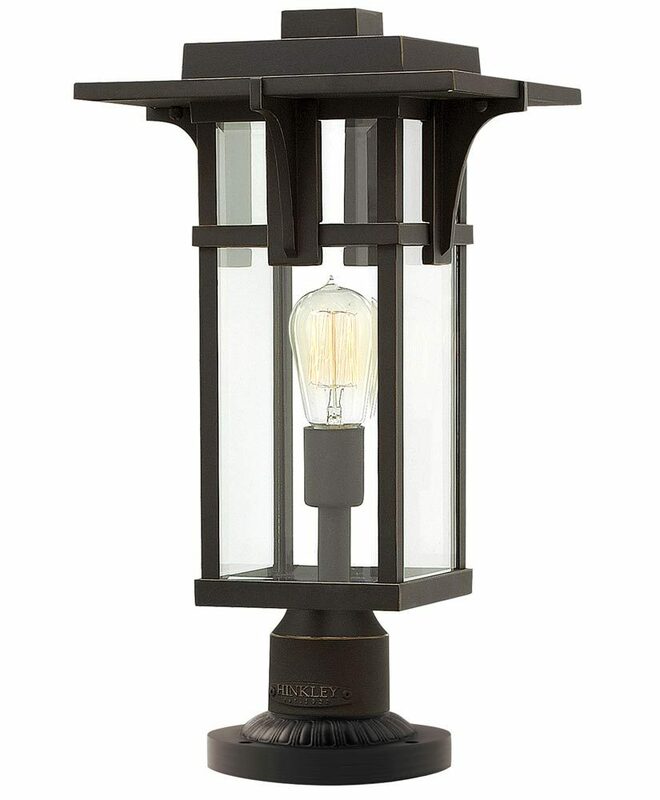 This Hinkley Manhattan 1 light outdoor post top lantern in oil rubbed bronze finish is rated IP44 and features Art Deco style and bevelled glass panels. Boasting a circular base, short ribbed stem and square profile medium lantern, with stacked brimmed roof and clear bevelled edge glass panels. A classic geometric architectural design that features many Art Deco elements. This exterior light is supplied by Elstead Lighting and designed in the USA by Hinkley, founded in 1922 in Cleveland, Ohio. They have transformed from a small outdoor lantern company to a global brand intent on bringing you the best in style, quality and value designs like the Manhattan 1 light outdoor post top lantern in oil rubbed bronze finish featured here.